Let’s start off right at the top of the list. What do you think is the MOST important thing people should do when choosing a builder? Research the builder’s track record. Has he ever had lien or bankruptcy issues? Is his liability and workmen’s compensation in order and can he provide certificates of insurance for his company and his subcontractors? Ask to have references from his last three homes and ask for a tour of at least one of them. FISHCAMP: Look at our work. You can see quality of design/execution and get an overall feel of how everything works together. BIG SKY BUILD: I feel people need to perform due diligence when selecting a builder. Make sure to check client, architect, trade, and supplier references. Also, make sure to visit a home or two as you want to see firsthand the product that the builder puts out. Furthermore, this is a long-term relationship so make sure you both feel good about it, and there is excellent communication right off the bat. Life is too short to work with someone you don’t like or jive with just because they have a good reputation and deliver a nice product! When planning a home, what do you think people should spend more time doing? 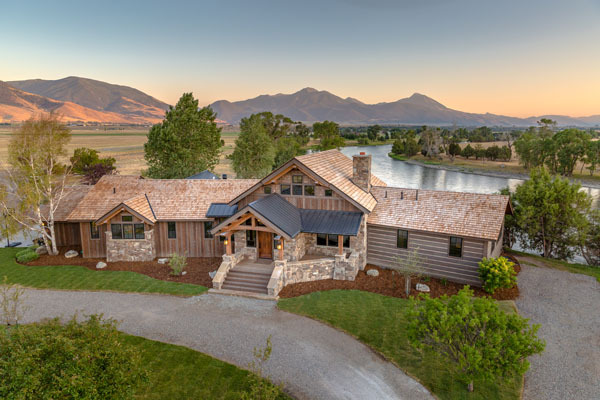 BIG SKY BUILD: I feel people should devote more time thinking about their overall program for the project to ensure a smooth process and to get the home that they envision. Building a home is a big investment so make sure to select the correct lot to suit your needs, think about the spaces you and your family need and want, and think about future dynamics that you may want to plan for in your design. For example, if you’re going to be empty nesters in a few years you should think about that during the design process. The house will flow differently in a few years than it needs to now. YCCH: When planning a home the first step should be to determine a budget. In our experience, it is common for individuals not to give adequate thought to this step and as a result end up with a home design that exceeds their budget. Once a budget is determined pull the builder into the team when the design work begins. He knows costs better than anyone and can provide guidance to both the architect and owners through the design process. There will not be any surprises when the design is completed and the home will be on budget. What things are people most unaware of — what surprises them — when you are in the process of building their home? 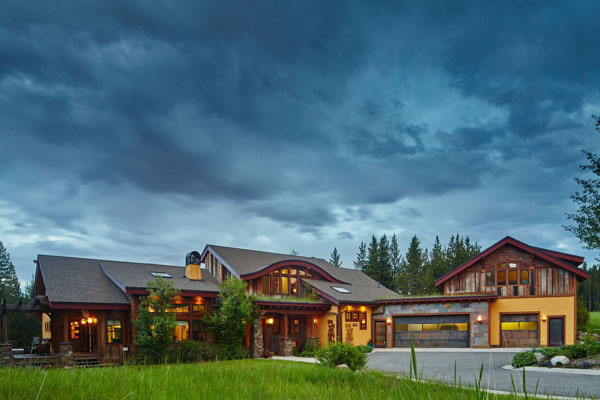 BIG SKY BUILD: I think people are surprised at what goes into building a home, especially in our area where weather, engineering, design guidelines, and logistics affect cost and construction duration; an unfortunate reality when it comes to building a home in the mountains of Southwest Montana. Also at the quality and sophistication of the building community here in our area. These are not easy homes to construct; the talent of the men and women working on our projects is second to none. FISHCAMP: How the size of the home changes from stage to stage from an excavated hole to the foundation to the framed rooms to drywall and throughout. YCCH: Most owners are not aware of the costs associated with building a new home. Thus the need to bring the builder into the process at the very beginning. There may also be some unknowns when it comes to site work. For example, running into rock or water when digging the foundation, or the depth of the well and gallons per minute when drilling the well. In addition, the suitability of the soil may be questionable. As a result an engineer may have to be brought into the project to outline measures that need to be taken to provide proper compaction and materials for the home’s foundation. What are your top three pieces of advice to anyone interested in building with your company? BIG SKY BUILD: First, have fun! Second, make sure to relay all expectations, concerns, needs, etc. so that we can make the process rewarding and as comfortable as possible. And finally, hire the builder, architect, and interior design firm all at the same time so that we can all work together for a common goal. Getting your team on board at the same time does make the project go smoother for everyone and in the end will save the client money and time. YCCH: Contact us as early as possible. Before purchasing a building site let us look at it with you and identify the location of the home and any problems that might be evident on the site. As the design process begins allow us to provide value engineering through the project. FISHCAMP: Start a file with organized pictures for each space. This helps me get a feel of the look you’re going after and we can then collaborate to come up with a final design. Put together a wish list of “must haves” such as large walk-in closets, stonework, appliances. You must have trust (on both sides); if there isn’t trust between the owner/builder, the project will suffer. This is a long process and you must be realistic of budgets and expectations. What is the most common mistake people make when planning or building a new home? FISHCAMP: Having visions of grandeur. Be realistic of what you want and what you can afford. 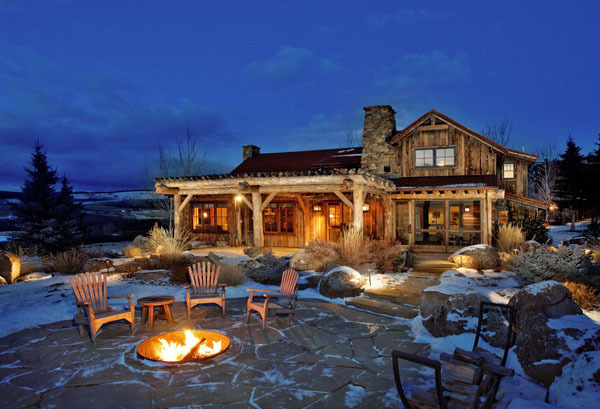 YCCH: Building a new home should be a collaborative effort that includes the owners, architect and builder. The most common mistake people make is waiting too long to bring the builder into the process. BIG SKY BUILD: Simple, they hire the wrong team! OK, your turn for an “elevator pitch.” In one sentence, why should anyone choose to build with your company? BIG SKY BUILD: Quality, value, and consistency, we at Big Sky Build are here for you; our longevity in the community and reputation speak for itself. FISHCAMP: We are passionate about what we do and are involved with every element of the project.